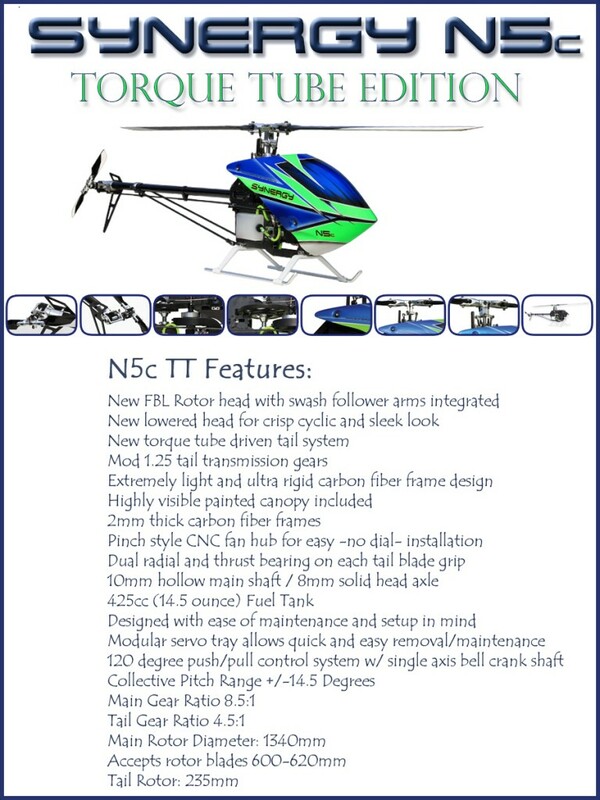 Like your helis with a torque tube tail? 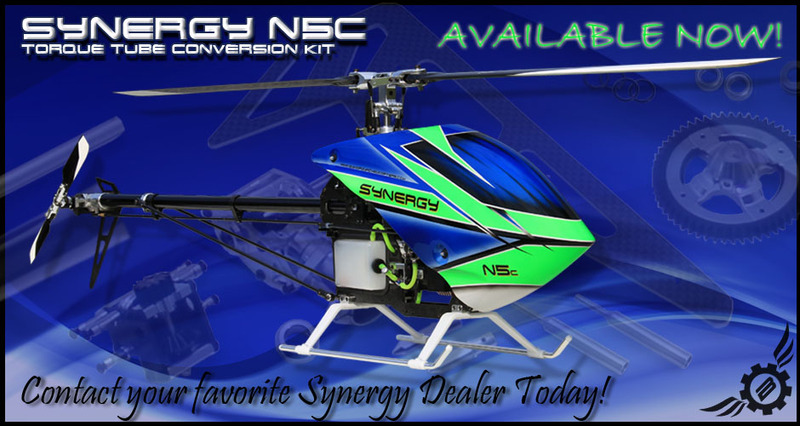 The new N5c TT full kit from Synergy might be just what you’re looking for! Featuring the same high quality CNC Delrin bevel gears as the E7, this tail transmission will hold up to the most brutal pilots in the world! Also included in the kit are the all new CNC tail push rod ends and E5 tail box assembly.